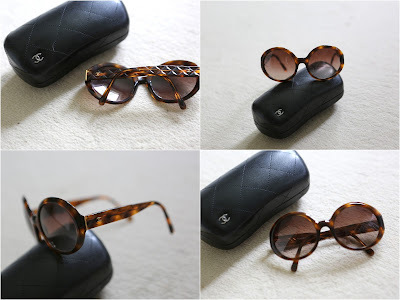 Amazing sunglasses in brown quilted with gold CC on the side. Such a stunner and classic model, riviera chic for sure. Used about five times, comes with leather CC case. Click for better look.